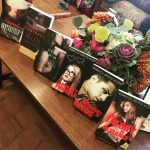 The Book House of Stuyvesant Plaza hosted local romance authors. We signed books an swag and ate yummy treats! Thanks for coming, everyone! 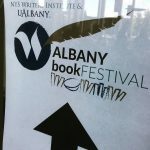 Members of Capital Region Romance Writers of America came out to represent at the first annual Albany Book Festival on the SUNY Albany campus on September, 29, 2018. 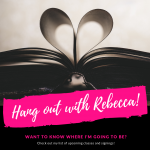 We sold books, chatted with other authors, and even hung out with a giant bird! 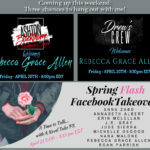 Coming up this weekend: Three chances to hang out with me!